Rabbi Michael Rothbaum at Temple Beth Elohim. 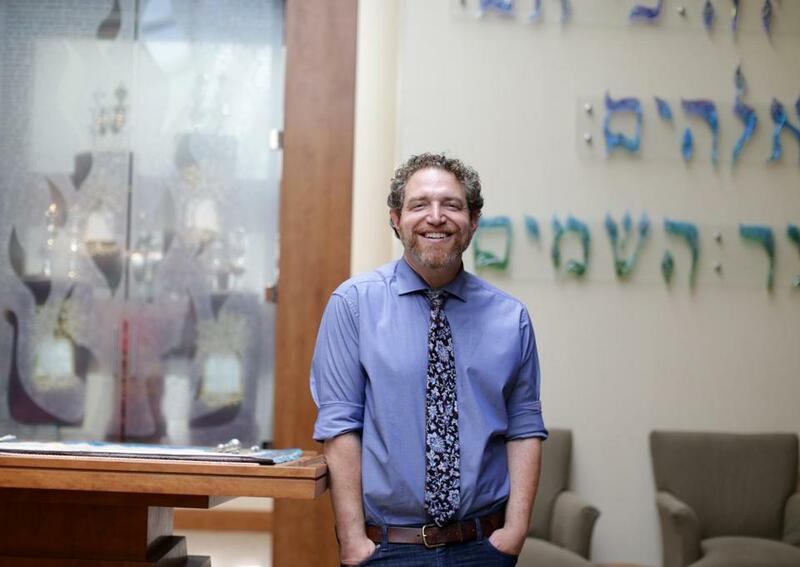 Michael Rothbaum was in kindergarten when the man he is succeeding at Congregation Beth Elohim assumed the pulpit of the Acton synagogue 40 years ago. That would be enough to make Rothbaum’s arrival noteworthy. But there’s more. The rabbi has been arrested about a half dozen times for civil disobedience. His husband, Anthony Mordechai Tzvi Russell, is a former professional opera singer now gaining international acclaim as a Yiddish music star. Russell, who converted to Judaism, finds echoes of his black ancestors in this almost lost language of Central and Eastern European Jews. Oh, and you may spot the couple tooling around town in their silver Mustang convertible. Rabbi Lewis Mintz has retired from his post at Congregation Beth Elohim. Rothbaum recognizes he has a tough act to follow: a leader who earned the confidence of several generations of congregants. Under Rabbi Lewis Mintz, Beth Elohim built its temple and then expanded three times to accommodate its congregation. The congregation today has more than 270 households, compared with 50 when Mintz arrived. Mintz, whose last day was June 30, said his lengthy tenure was “unusual for any clergy, for a rabbi almost unheard of.” Using the Yiddish word for a marriage match to describe his relationship with his congregation, he said, “This was a good shidduch. Both Mintz and Rothbaum were ordained by the Academy for Jewish Religion in New York, a pluralistic rabbinical school. “I think the generational change is going to be very good for the congregation,” said Mintz, who is 70. While sharing many of the same progressive views as his successor, Mintz said Rothbaum is more politically outspoken. The new rabbi said, however, that his first priority is to sound out his congregants. 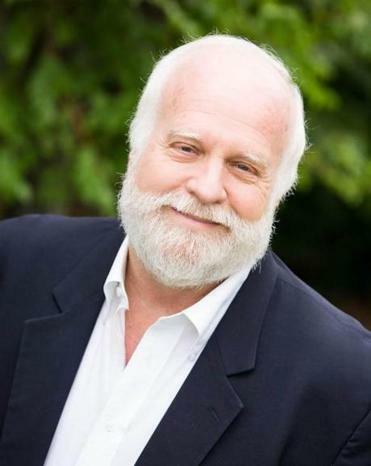 “If you’re out front and there’s nobody behind you, what are you leading?” he said, going on to cite lessons he learned at his previous job as San Francisco regional co-chair for Bend the Ark, a Jewish Partnership for Justice. “You talk to people’s hearts and find out what moves them,” he said. Rothbaum said he was drawn to the Acton congregation’s commitment to living Jewish values, not just paying them lip service. In the aftermath of the presidential election, Beth Elohim formed the group Na’Aseh (“we will act”) to promote charitable causes, community service and social justice initiatives. Of the three finalists for the Acton pulpit, two were gay men and one was a woman. Openly gay rabbis were first ordained in the 1980s, beginning with the Reconstructionist movement, followed by the Reform in the 1990s and the Conservative in the early 2000s. Over the last decade, both the Reform and Reconstructionist movements have ordained trans rabbis. As yet, no Orthodox seminary admits students who are openly gay. Rothbaum said his encounters with the law may have cost him one job. A representative of a synagogue search committee called him after seeing a YouTube video of Rothbaum being arrested for protesting against deportations. He asked the rabbi, “Can you guarantee me you won’t get arrested again?” Rothbaum refused to do so. Whitbeck said that when the rabbi told the anecdote to the Acton search committee, the members laughed. 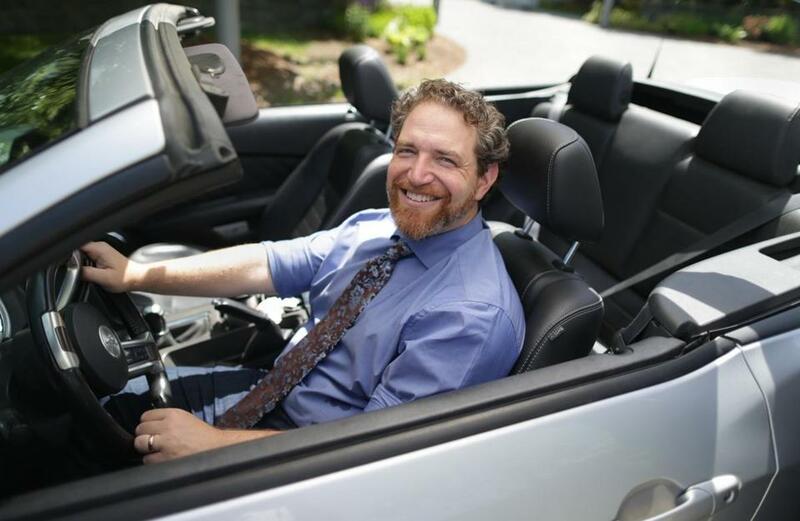 Rabbi Michael Rothbaum in his Ford Mustang Convertable.